The Fellowship was fortunate enough to obtain a copy of ACTION MAN #1 from IDW Publishing. The story is by John Barber, with art by Paolo Villanelli (Prologue art by Chris Evenhuis), colors by John-Paul Bove, and lettering by Neil Uyetake and Shawn Lee (Prologue). Ian Noble is the new Action Man, and somewhat of a loose cannon. At least that is what some in the Action Man Programme think. When a hostage situation occurs, he’s instructed NOT to save them, but to recover sensitive data regarding the Action Man Programme. Will he follow orders, or try to save the hostages as well? And will Ian get over his obsession of finding Doctor X, the man most responsible for the death of his predecessor? Or is everybody else right in thinking that the villain is dead? For those who don’t know, ACTION MAN is a toy line that originated in the U.K. back in the 1960s a licensed copy of Hasbro's original G.I. JOE. While the plot is familiar, there is a ton of action and few questions raised that makes up for it. All in all, this is a very nice jumping on point for readers who are unaware of the characters and concept of ACTION MAN. Paolo Villanelli’s art is very energetic and dynamic, and looks awesome. Worth checking out. 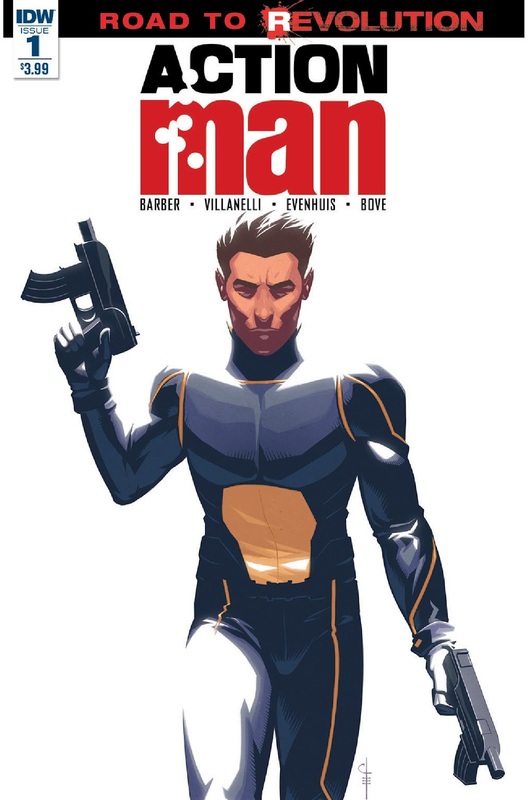 ACTION MAN #1 is in stores now, or available for ordering at www.IDWPublishing.com.